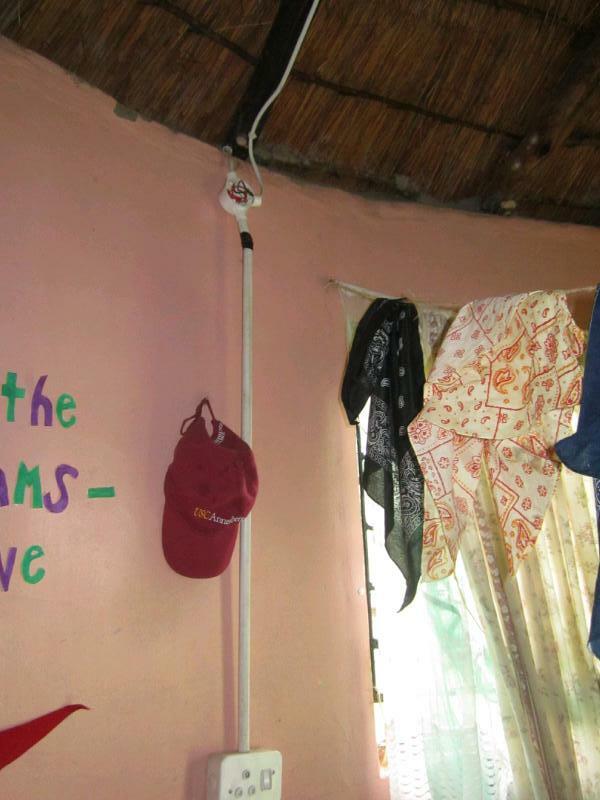 Some of my PCV friends live without electricity, but most of us have at least one electrical outlet in our huts or houses. I have one plug and one light bulb to see that oh-so-not bright light, charge my technological devices and use my appliances. The area I live in in KwaZulu-Natal, the Battlefields, has spotty electricity and intense lightning storms more than often. As being a Native Californian, I don’t REALLY know what lightning storms entail. Call me stupid, but last week during a lightning storm I was charging my phone on my power strip and using it at the same time. All of a sudden I heard a loud lightning bolt strike close to my hut and then saw a huge ball of bright white light in front of my face. I chucked my phone across my room and then my hand hurt really bad. I had no idea what had just happened, considering when something traumatic happens, one generally can’t remember the exact moment. After consoling my American father and PCV friends, I figured out I had just been the victim of a huge power surge on my property. Well, I survived, and so did my phone. Nothing too bad. Wrong. A day later I figured out that my sweet little netbook wouldn’t charge anymore because the power surge fried the power supply in the computer. I took it to my closest “Westernized” shopping town about an hour away to a repair store. I was saddened to hear the news that my little guy wouldn’t make it through the traumatic event. RIP. Six months into service, I have to tap into American money to buy a new laptop (thank you, Baba). It would take at least three months to save money to purchase one on my stipend. I guess this is a more epic story than my computer getting stolen, right? A day later, I turned on my light and the light bulb burst and shattered onto my ground. I’ve been living without light for a week because I can’t find a replacement light bulb. Thank you for keeping me company, head lamp. Now I know what it’s sort of like to live without electricity! I’m grateful to have electricity here, but lesson learned: This electricity ain’t something to mess around with. It’s…not the safest. Or the most reliable. Editor’s Note: this all happened, of course, a week before I start teaching. I can’t help but laugh. Oh, it’s just another day in the Peace Corps.